Mallusk 5 Mile Race 2018 | Mallusk Harriers | Right to the line…. 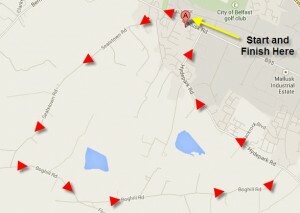 This year’s 5 Mile Race will be held on Friday 10th August at 7.30pm at the Academy Club, Mallusk. 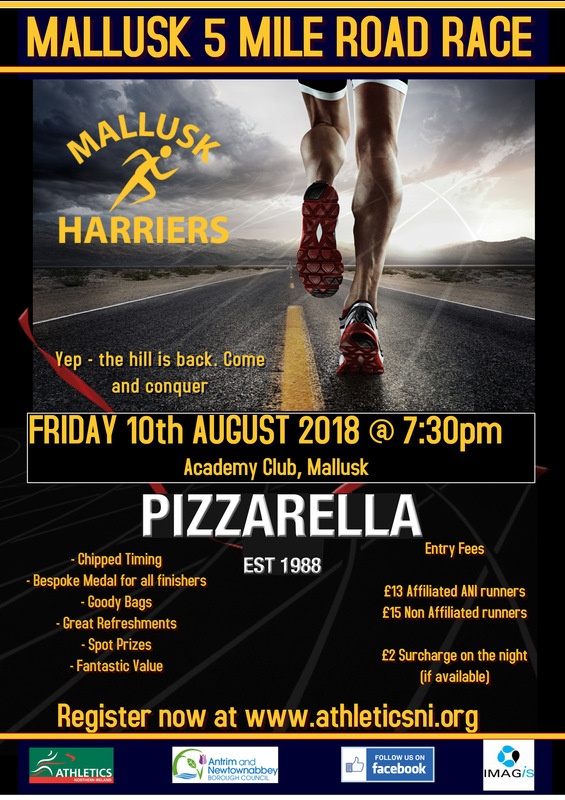 We are delighted, once again to have Pizzarella as our sponsors for this event which is now in its fifth year and one of the highlights of the local running calendar. Entry fees are £13 for ANI affiliated runners and £15 for non-affiliated runners. Not to be missed, there will be medals for all finishers, goody bags and the famous Mallusk hospitality is guaranteed. The route heads briefly towards Templepatrick, before turning left onto the Sealstown Road. A pleasant (?) climb to the top of the Sealstown Road where you turn left onto the Boghill Road and then it’s all downhill from here….